Educational research associations the world over are seen to be making tremendous contribution towards building research networks, developing research cultures, enabling policies and practices to be linked to research and increasing the potential impact of research (e.g. British Educational Research Association). 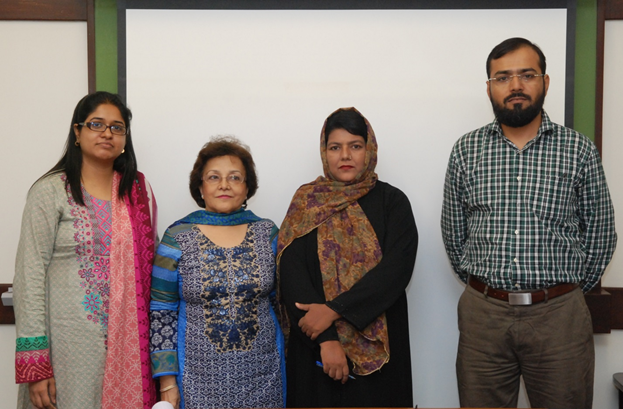 In order to initiate the development of a research culture in Developing Countries, Aga Khan University - Institute for Educational Development has taken the initiative to establish an educational research association in Pakistan namely "Pakistan Association for Research in Education" (PARE). Members could include but not be limited to: scholars and academics; educational researchers; educationists; policy makers and practitioners. PARE, earlier called PERA (Pakistan Education Research Association), was launched at the conclusion of the International Conference "Quality in Education: Teaching and Leadership in Challenging Times" during February 21-23, 2006 at AKU-IED. as Treasurer, Government College of Education F.B Area, Karachi.